Truthfully, being a bridesmaid cost a lot of money and it's a lot of work! 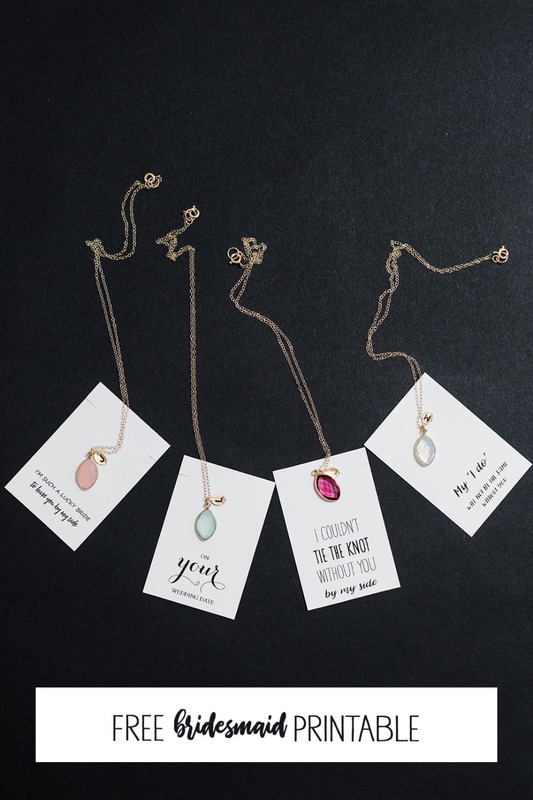 Your girls deserve a gift and it should be something that they can actually *gasp* wear more than once, like these personalized necklaces from Lilla Designs. Who by the way is an Etsy top seller and has 100% positive reviews. You'll for sure receive your bridesmaids' gifts on time and they will be beautifully wrapped. She'll be receiving a high-quality piece of personalized jewelry that is hand-crafted in the USA (Maryland to be exact)! Before you order, we have a few more SURPRISES for you. If you enter WEDDING at checkout you'll receive 15% off your entire order. You'll need to place your order by 7/30/2018 to save. Wait ... there's even more! 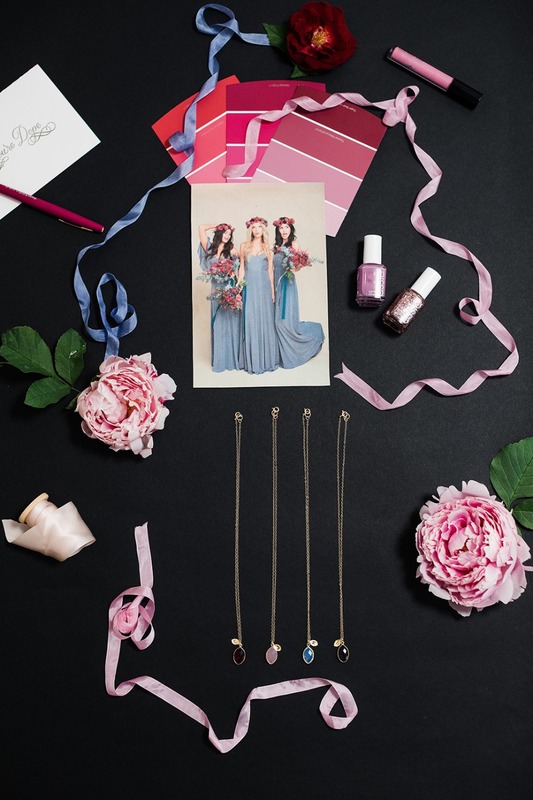 Scroll down and we'll show you how to make your own personalized bridesmaid cards to gift with your necklace. Don't worry it's a DIY that everyone can easily do. Just so you know, Lilla Designs sponsored this feature, so that we could share their stunning necklaces with you. 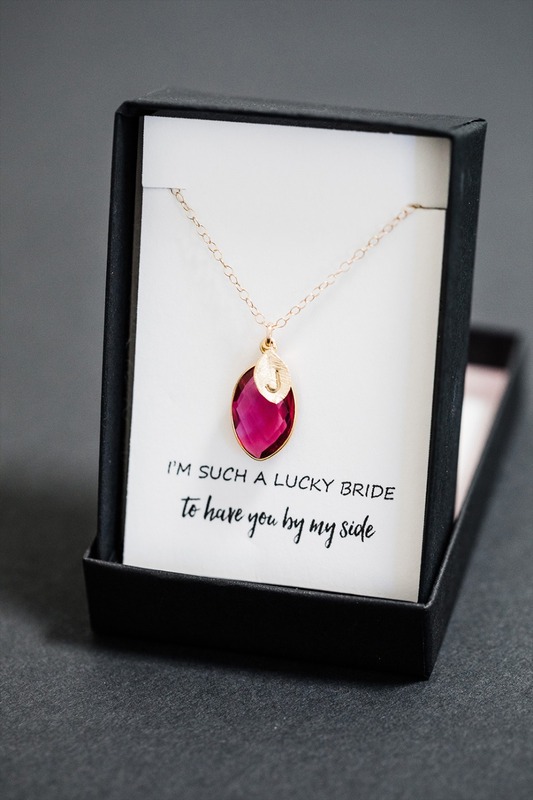 By the way, we each personally own our very own necklace and we can confidently say that they are cute in IRL as well and look really cute layered. 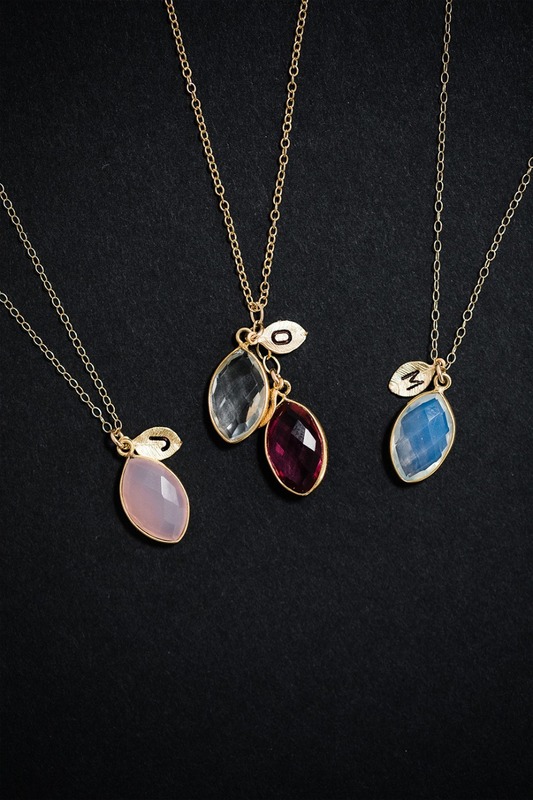 You're able to personalize the necklace with their birthstone or coordinate the necklaces with your wedding colors. The best part is you're able to add their initials to a hand stamped leaf charm. Making it completely custom. Shop bridesmaid necklaces here! Don't forget to enter WEDDING at checkout in order to receive 15% off your entire order. Place your order by 7/30/2018 to save! 4. Slip the necklace, so it hangs in between the slits. 5. Place in the gift box and you have yourself a customized gift.